I have only posted about muffins once on La Cuoca Ciccia, but it is simply because I do not want this site to feature muffins only. We make muffins over here once a week at a minimum. It was only today, as I decided to experiment with some almond paste that has been hiding in the back of my pantry, that I realized I have not made a plain white flour muffin in years. 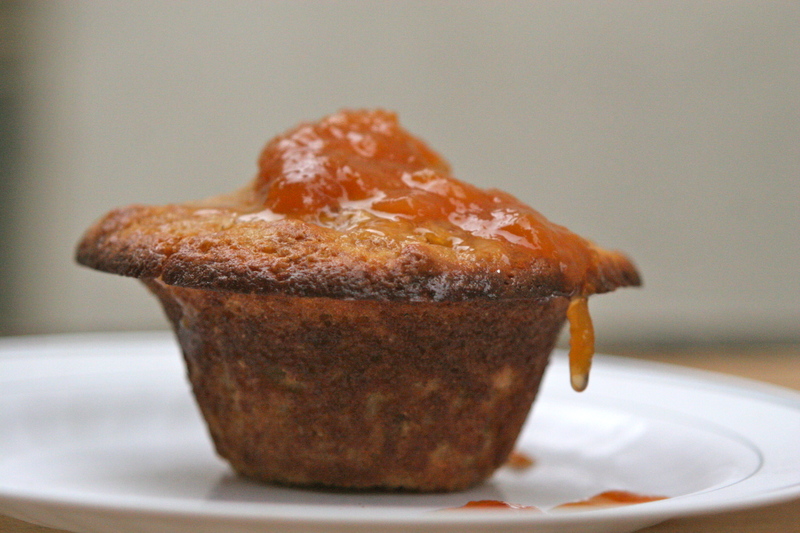 When crafting this muffin I was inspired by several recipes for cakes that add grated almond paste and I thought that the nutty almond flavor would taste fantastic with the nuttiness of whole wheat flour. My favorite guys from Ottolenghi have a marzipan-plum compote muffin that adds a bit of orange zest, which sounded very Sicilian, so I decided to add a bit of that too. Finally, with my bushel of organic peaches from the San Francisco Alemany Market, I had made a large batch of peach jam. My son requested that we put some (read: half a jar) on our muffins so I decided to spoon a bit of that into the muffins as well. 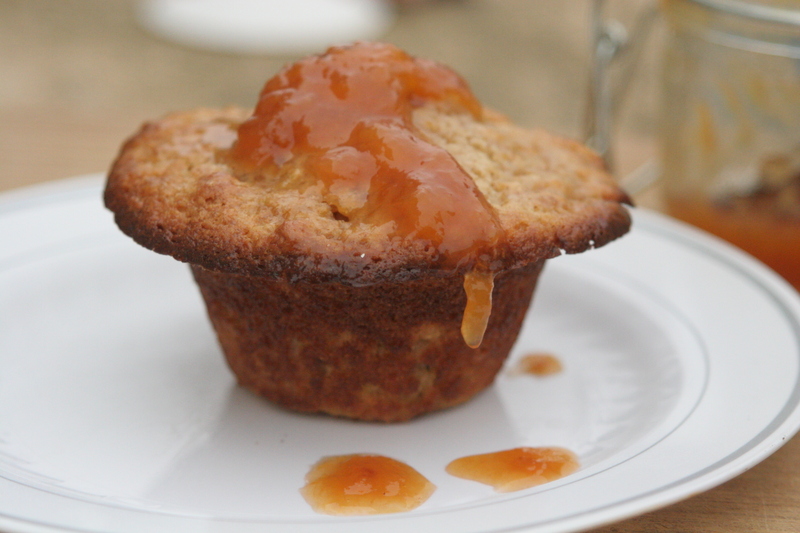 To me the almond-peach-orange zest combination with whole wheat flour was just heaven. This is not a cupcake my friends. It is not too sweet, especially given my kids’ inclination to marry the muffins with a lot of jam, but does not necessitate extra sweeteners. A large dab of phenomenal butter (especially cultured butter) melting in a little pocket of the muffin made me think of ambrosia. A few little starting notes. As with many of my recipes, you can play around with this muffin a lot. 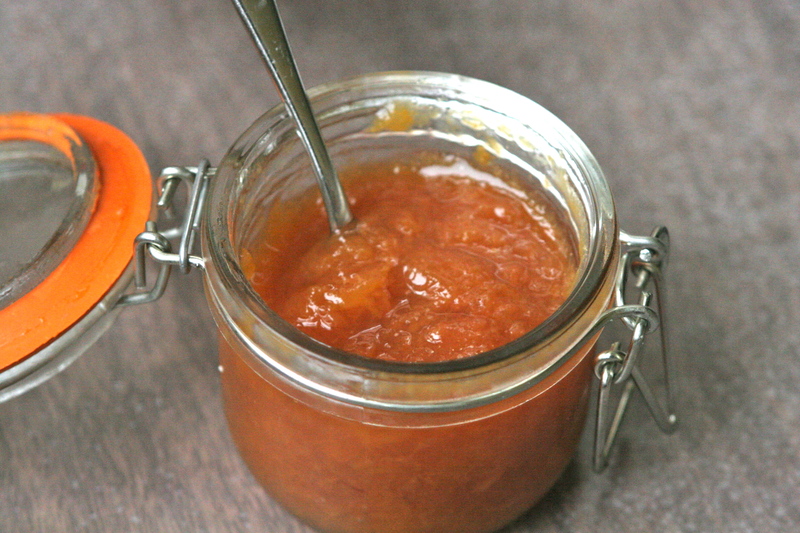 For starters, if you do not wish to make homemade peach preserves, there is no shame in buying some. If you prefer a different flavor, go with it. For example, if you made the cherry preserves last week, this would be excellent combined with lime zest instead of orange zest. Lastly, if you like your muffin a little sweeter, you can add a bit more sugar, as indicated in the recipe below. Preheat the oven to 350F degrees and butter or spray every other muffin tin of two 12 capacity muffin tins. This helps for even baking. 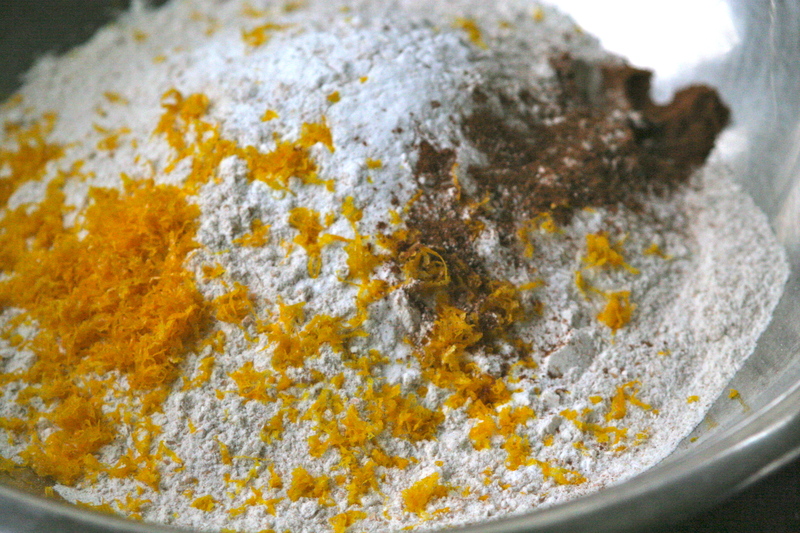 Combine the flours, salt, baking powder, baking soda, and cinnamon in a bowl and whisk together. In a separate bowl, preferably with a pouring spout, whisk together the eggs, sugar, and orange zest until thoroughly blended, then add the milk and melted butter. 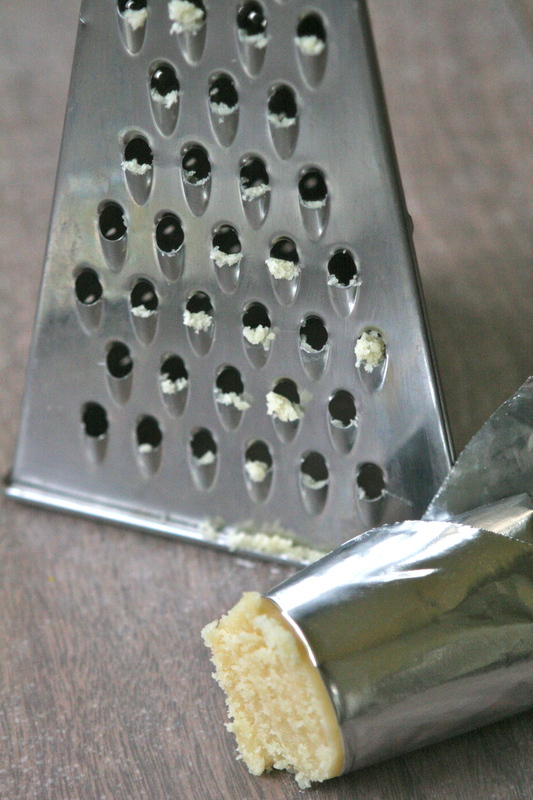 With a coarse grater, grate in the almond paste and roughly mix. Add the dry ingredients into the wet ingredients bowl and fold in gently until it is just incorporated. Add the peach preserves and mix for another 6 or 7 turns and stop. Fill the sprayed or buttered muffin tins (every other one) 3/4 full and then sprinkle 1/2 to 1 teaspoon of brown sugar on the top of each one and cook for about 20 minutes, turning the two trays forward to back and top to bottom half way through the cooking. As soon as a toothpick comes out clean, remove from the oven. Let sit for 1 minute and then give each one a little twist to loosen and then remove them and let them perch on their sides so that they do not steam and become mushy. Serve hot with a large dab of salted butter and more peach preserves spooned on top, if you wish. This recipe is all about proportions and simple technique. I weigh my peaches and then add 1 cup of sugar for every 3 pounds of peaches. This yields a not-too-sweet preserve. If you like a classic sweet peach jam taste, aim for more like 1 cup of sugar for every 2 pounds of peaches. If you are canning the jam with a traditional water bath method, boil some water in a huge pot. Otherwise, just boil 6-8 cups of water in a pot and then add a couple of peaches at a time for 1 minute. 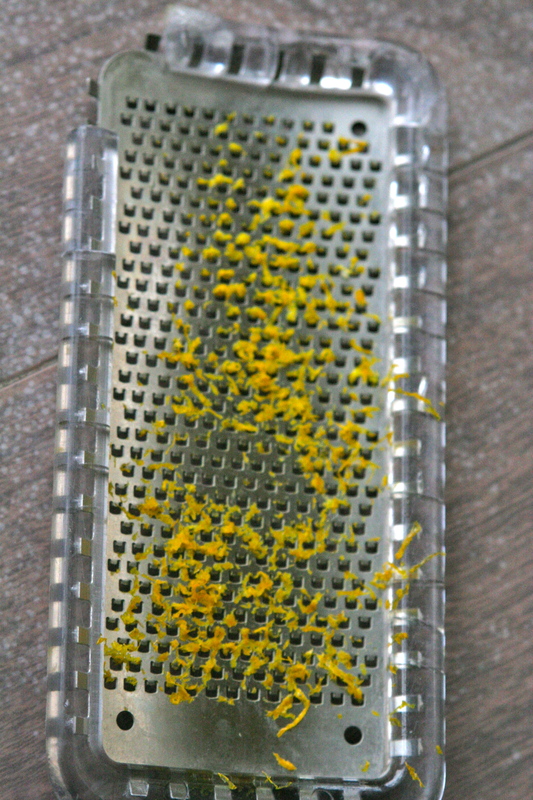 Remove and let cool enough to slip off their skins. Repeat until all the peaches are skinned. 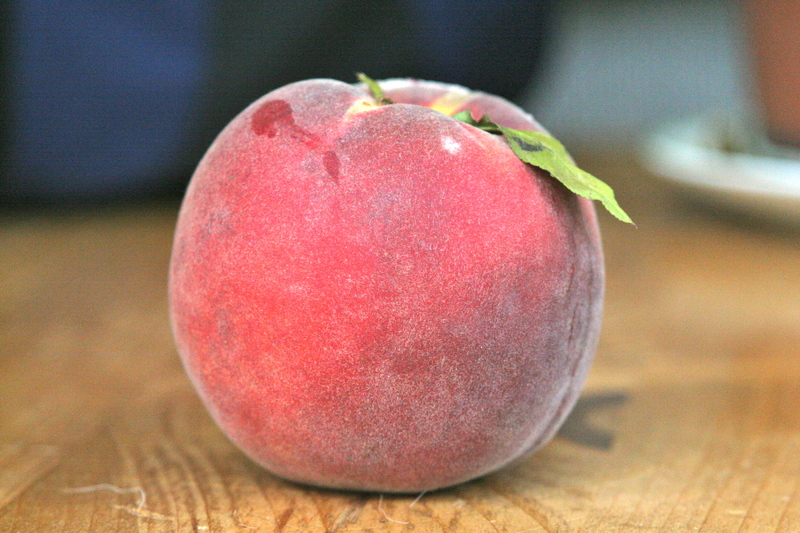 If you have very ripe peaches you can almost squeeze the pulp off. If not, pull the peaches apart and chop roughly with a knife and then add to a large cooking pot along with the sugar and put on medium-high heat until the peaches have released their juices. Turn up to high and stir every three minutes until the temperature reaches 210F degrees. Squeeze in the fresh lemon juice, stir for a couple of minutes and then take off of heat. Store in the fridge for many weeks, or in containers in the freezer for many months, or can with water-bath according to jar’s directions for over a year. This entry was posted in Breakfast, Jams & Preserves, Jams and Preserves, Whole Grains and tagged almond orange peach muffins, ambrosia muffins with peach preserves, cinnamon peach muffins, homemade organic peach preserves, homemade peach jam, muffins with almond paste, whole grain peach jam muffins. Bookmark the permalink. Yum, yum, yum! I’m going to make these tomorrow! Though…, confession: there isn’t any almond paste lurking in my pantry, I’m afraid… Hmm… Maybe I’ll make a banana variation on the theme (I have three overripe beauties just begging to be baked) and pair it with the cherry preserves I did, indeed, make last week! Yum, yum, yum! As a thought, have you considered this recipe with say…..wild plums…..? Wow. How odd. I actually picked wild plums just last weekend and have a whole bunch of recipes that I will be posting soon.